(a) Apply a light coat of engine oil to the O-ring of the crankshaft position sensor. When reusing the crankshaft position sensor, inspect the O-ring. If the O-ring has scratches or cuts, replace the crankshaft position sensor. (b) Install the crankshaft position sensor to the cylinder block sub-assembly with the bolt. 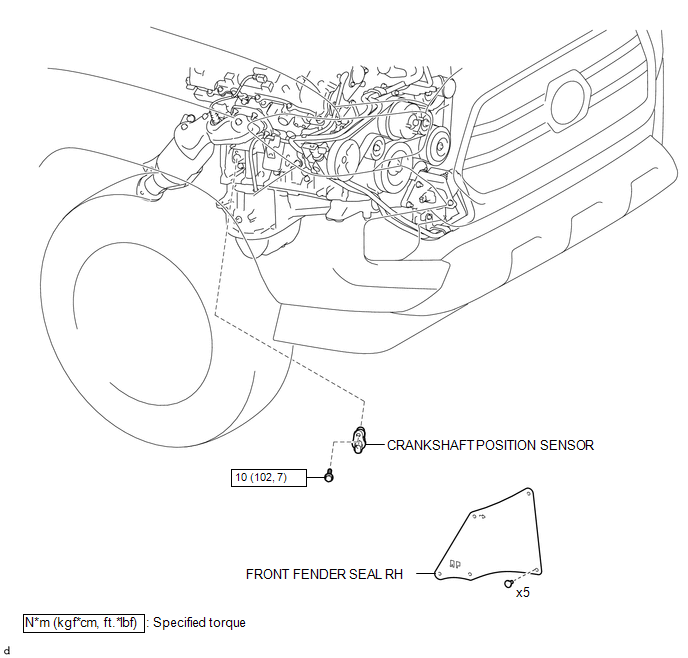 (c) Connect the connector to the crankshaft position sensor. 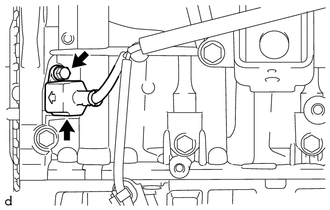 (a) Disconnect the connector from the crankshaft position sensor. (b) Remove the bolt and crankshaft position sensor from the cylinder block sub-assembly.